Years ago, customers pulled into gas stations and the attendant gave them fuel, washed the windshield, and checked engine fluids and tire pressure. Those days are long gone (except for a few select full-service stations), and self-service gas is the norm. However, the profits from selling gasoline are limited and the successful service stations of today have to diversify to stay in business. This makes advertising like gas station signs very important. In fact, if your signs are not telling the entire story of what you have to offer, you could lose out to the competition. Let’s look at some examples of how signage can be used to improve a gasoline/convenience store business. We did both indoor and outdoor signage for Fuel Depot, and as you drive by, you’re greeted by the Fuel Depot Logo with the words, “gasoline,” “market,” and “liquor,” along with the current fuel prices. However, the real story begins when you walk inside the building. When thirsty customers enter the Fuel Depot store, they are greeted by the refreshing image of the “Fountain Frenzy” beverage and ice dispensing machine. Just looking at this sign is enough to make you grab a cup and help yourself. How many times have you entered a store and couldn’t find something? That doesn’t happen inside the Fuel Depot because signage like the “Chill Zone” and “Beer Zone” are clearly visible and the illuminated channel letter signs make them easy to see and identify. And if you want chilled wine, there is no problem finding the case. This is an example of what Dave’s Signs can do for your station or your entire chain of establishments. 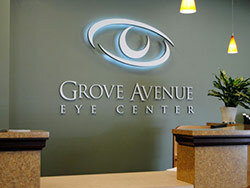 We customize your signage to make your business stand out from the rest. Call us today at (805) 641-1387 or contact us online for more details.